After finishing the first filming for The Moon Embracing the Sun drama series, Jung Il Woo expressed his thoughts. 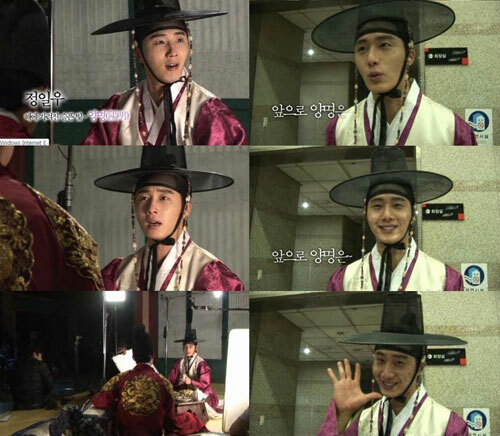 On January 18th, 2012, the official MBC website for The Sun and the Moon published the behind the scene video footage of Jung Il Woo after he finished the first shooting of acting the character of adult Prince Yang Myung. The adult version of The Moon that Embraces the Sun begins from January 19th, 2012.